The best part of my Thanksgiving weekend was sitting around the table with family debating the upcoming NCAA national championship game. I have to admit, I love talking with my brother — a lifelong Buckeye – who is always optimistic that Ohio State can go all the way. Then there’s my father – a lifelong Alabama fan – that regularly reminds everyone that “It’s unlikely for the Bucks to beat ‘Bama if they play each other.” However, in sports (as well as politics) you can never be certain of the results until after the game. That’s why they play the game. Yes, America loves a comeback story. Watching the excitement generated by Auburn’s victory over top ranked Alabama during the last seconds of the game reminded me of Election 2014 and the possible electoral impact the “Rising Electorate” may have. I began to ask myself, “will this mid-term election be decided by last minute local issues or long-term national concerns?” Will this be a referendum on the “Do-nothing” Congress, Government Shutdown or Obamacare? What’s remarkable is how — for reasons hard to explain – 2012 issues and dynamics are being dragged into 2014. Remember 2012 was a hyper polarized political environment where attitudes solidified quickly and “Obamacare” didn’t peel off many voters. 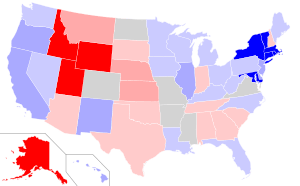 The Democrats netted 8 seats in the House and gained a foothold in the Senate by winning 80% of the competitive Senate races. Also, they gained 170 more state legislative seats nationwide and took over 8 state legislative chambers including complete control of Colorado. In other words, everyone that hates “Obamacare” has probably already voted against it and everyone that voted for President Obama will probably still vote Democrat. So what’s different? Consumer confidence is at a 6 year high and the GOP driven Government shutdown seems to be sticking. The Democrats didn’t have these weapons in 2012 and now the stage is set for an upsurge for President Obama’s coalition that includes progressive whites, Latinos, African Americans, Asians, Native Americans, women, youth and unions. Furthermore, there were fewer than 60 laws enacted this year, so this is officially the least productive Congress ever. In other words, the Republicans will not have a record of “fixing things” to run on while the Democrats will tout saving the economy from default and fighting to keep the Government open. Will these numbers drive voters to throw the bums out and flip the House? No one knows for sure but these issues and others could be the catalyst. For Example, take Colorado’s CD-6 where the district is 20% Latino, 9% African American, 5% Asian and there are over 60,000 youth between the ages of 18-25. The President won this district with 54% (182,464) of the vote and GOP Congressman Mike Coffman scraped by with only 48% (150,587) of the vote. That’s a difference of 31,877 more votes for Democrats. Remember Coffman won by 7,001 votes in 2012, a Presidential election year. This is about 2% of turnout but we expect him to garner 3-5% more votes in a mid-term election. However, there were over 12,000 ballots cast that did not choose a Congressional candidate between Adams and Arapahoe counties (both counties are favorable towards Democrats). Lastly, Colorado recently passed a law requiring all registered voters to receive a ballot in the mail and allowing Election Day registration. These factors will increase midterm turnout for progressives. 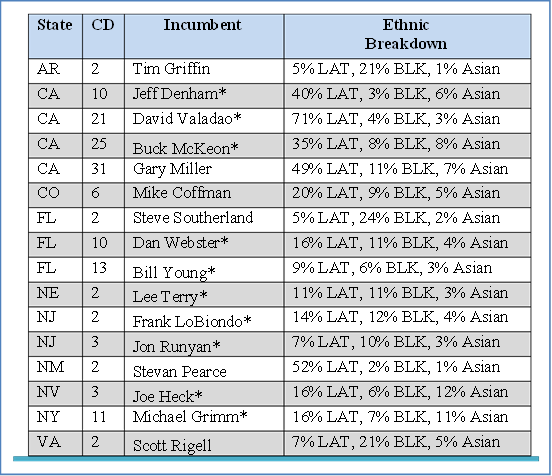 Will these dynamics play out in the 17 Congressional districts needed to flip the House? Yes. The truth is that voters in places like Toledo care more about the price of milk, the economy and the Buckeyes –not necessarily in that order – than the healthcare website. It’s our experience that people won’t vote for politicians that ignore underlying issues or problems but they’ll vote for someone to fix them. Simply put, “nothing from nothing leaves anything and doing nothing isn’t working.” If a candidate can show the ability to take a problem head-on and fix it, they will garner a lot of respect and votes.